Update: Victim identified as Marcelino Perez, 77. Boston Police report a man in his late 70s was found stabbed to death at 99 Shandon Rd. in the Franklin Hill development around 6:15 p.m. on Thursday. 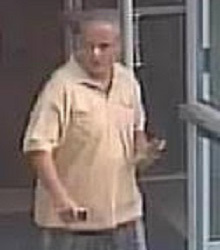 Police have released a photo of a man wanted in connection with the murder. If he looks familiar, contact homicide detectives at 617-343-4470 or the anonymous tip line by calling 800-494-TIPS or by texting TIP to CRIME (27463). The man is Boston's 32nd murder victim in 2018.